Here’s an update on the development in all three race classes during the past couple of hours. The FL-junior class of Finnmarksløpet constitutes the largest ever junior race in Norway, with 17 teams starting the race. Sadly, two teams have had to scratch from the race and there are currently 15 teams on trail. When arriving at cp Soussjavri, only seven minutes distinguished between the first eight teams! Ole Henrik Isaksen Eira is only 14 years old and led the FL-junior race when the pack hit the trails out from Jotka, the final checkpoint. (Photo: Anders Abrahamsen)The youngest musher of the race was the first one to hit the trail when leaving Soussjavri. Ole Henrik Isaksen Eira turns 15 in October! 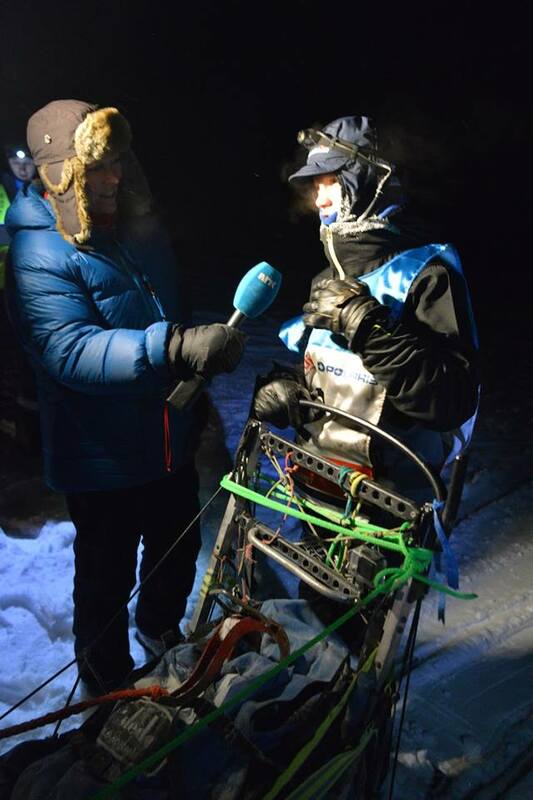 Ole Henrik was also the first musher to leave cp Jotka2 and hit the trail for the final leg towards Alta. However, the race is very exciting and nothing is given yet – there are many who may win! This year, the FL-junior race is also the Norwegian Championship for juniors in long distance sleddog racing. All the seven leading mushers of FL-junior had six dogs and thus a full team in front of their sled when leaving Jotka2. The winner is expected in Alta around 13:30 CET. It may be worth noting that three of the ten fastest teams have dogs from Tunheim’s kennel. However, those losing faith in Edland should keep last year’s race in mind – she took a wrong turn and got far off track, returned and ended up winning the whole thing in the end. All FL-500 mushers have a mandatory rest pool of 22 hours. Given the current situation in the race, they can hardly rest more than that in total if they want to win. In order to get an image of who is performing best, one should take a look at the accumulated running time. The lead pack of the longest class of this year’s race are currently resting at cp Levajok – with one exception. Ola Brennodden Sunde behaved remarkably ‘calm’ at cp Levajok when providing care for his dogs, and our suspicion that something was not right proved to be true. His father and handler Kjell Brennodden, a veteran musher himself, revealed that his son has caught some bug during the night and is rather poorly. 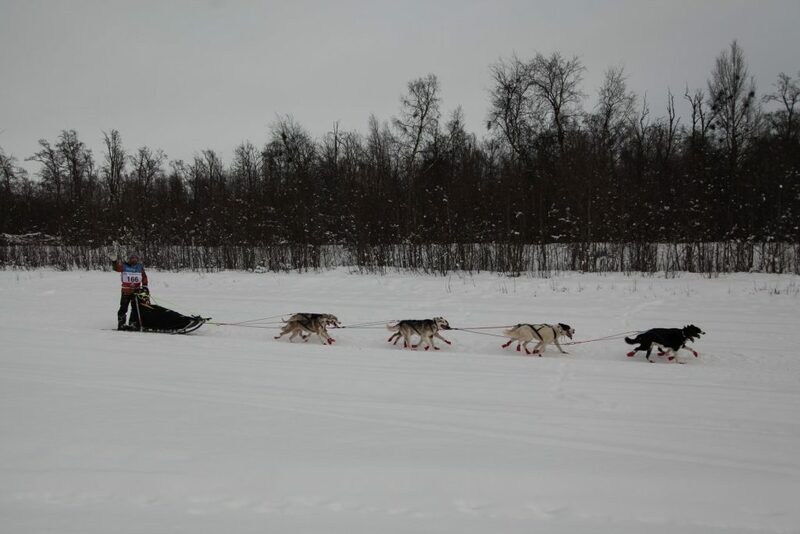 John Erik Eriksen from Hurdal races with dogs from Robert Sørlie and arrived as number two to Jergul. He was followed by Tom Frode Johansen and Dallas Seavey. – It is a fabulous race. I have had great experiences so far. The race is really good and the volunteers have been most helpful. 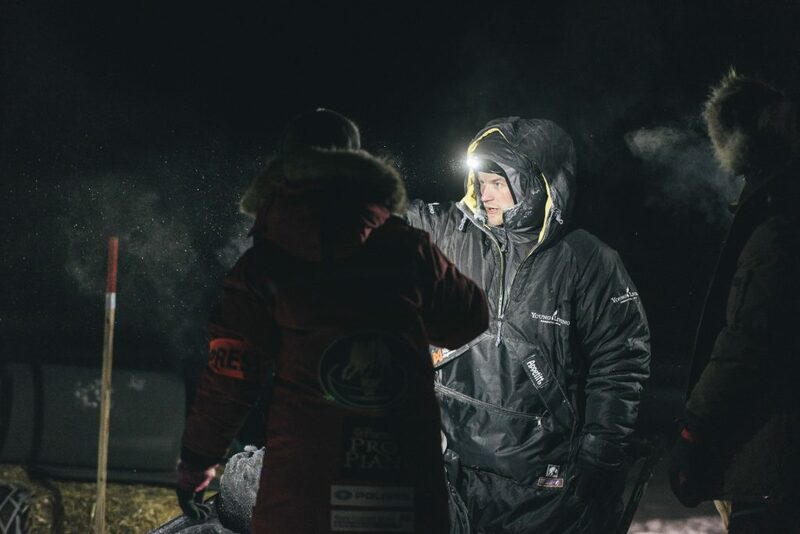 – The trail has been good too – this is like mushing in Alaskak Seavey said at cp Levajok to our reporter Nina Skramstad, who reports live from the trail. – The biggest difference from the Iditarod is that everything here is new to me. Just before we arrived here, and had to find my cheat sheet to look at what this checkpoint is called. I know the distances, but not the terrain, the popular Alaskan said with a smile. He laughed when Skramstad told him that that’s what it is like to be a rookie. – Yeah, yeah… It’s always fun to be a rookie. That’s why I am here – to get experience from the race, Seavey responded. At the time of writing, Thomas Wærner leads the FL-1200 race. He blew right through cp Levajok.